Our goal is to connect people with the best local experts. 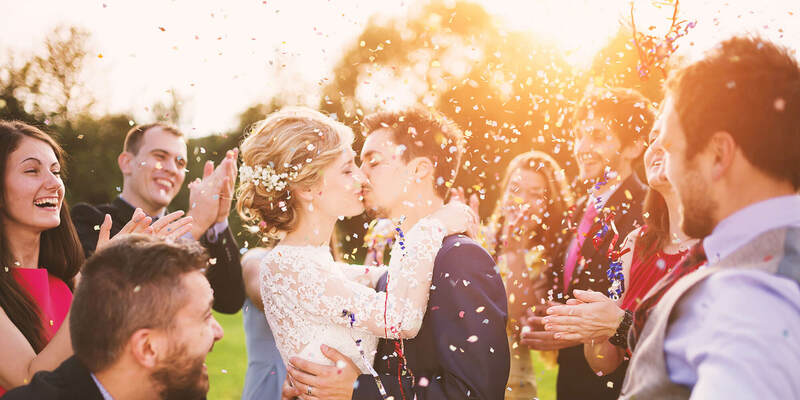 We scored wedding photographers on more than 25 variables across five categories, and analysed the results to give you a hand-picked list of the best wedding photographers in Columbia, MD. Hailey Rae Photography is a photographer located in Maryland that also provides services to clients along the East Coast. Hailey Rae Photography can also provide services to clients in other states as they do on-location shoots. This company can provide a variety of services, and clients can also see their work online on their blog. Hailey Rae is the owner and photography and she specializes in providing natural lifestyle portrait photography to clients. Hailey Rae Photography offers wedding photography, engagement sessions, senior photos, and lifestyle photography of many kinds. All of the company's wedding packages includes an engagement session and a glass USB with their wedding memories. Justin Kunimoto Photography specializes in candid wedding and engagement photos in Northern Virginia as well as destination weddings both nationally and internationally. Pricing starts at $500 per hour for elopement or event photography. Wedding packages start at $3,300 for eight hours of photography coverage, a USB of all edited images with printing rights, and a digital online gallery. Clients will receive up to 1,200 edited photos within three weeks of the event. Justin Kunimoto Photography has earned five-star overall customer reviews on The Knot, Wedding Wire, and Google. Clients say Kunimoto is professional, flexible, and responsive as well as creative, enthusiastic, and well worth the price. Creating colorful, authentic imagery focused on couples and weddings in Baltimore and beyond is the goal of lead photographer Kira Nicole and associate photographer husband Cameron of Kira Nicole Photography. Associate photographer Kelsey completes the team and specializes in weddings and families. Team members take their work seriously but also try to have fun, doing whatever it takes to get the perfect smile. Wedding packages include a complimentary engagement session, at least six hours of wedding coverage with two photographers, and more while portrait sessions last 30 minutes or longer. Kira Nicole also offers mentoring sessions to people wanting to learn more about photography. L. Hewitt Photography specializes in photography services including couples, boudoir, story portraits, and weddings for clients in Baltimore and worldwide for almost a decade. Photographer Leah only takes a limited number of clients each year for full creative energy and creative service. A diverse online portfolio is available for review on her website. Leah is also available for international travel and has been to New Orleans, Pairs, Taipei, The Hague, Seattle, and Guam. She currently holds a five-star rating on WeddingWire where clients speak highly of her creativity, attention to detail, and professionalism. She is also highly rated on The Knott. Michelle Silberberg is a photography studio located in Maryland that provides photography services to clients in the area as well as Washington D.C. The owner of the studio is Michelle Silberberg who strives to provide high-quality services to all of her clients. Prospective clients can sign up to meet with Michelle face to face for a consultation. Michelle Silberg is a photography studio that offers a variety of services. The services this studio can offer are portrait photography such as family, children, and engagements. Michelle also provides event and wedding photography, and, on top of that, is able to do architectural photography. Mike Buscher Photography has been providing wedding photography services to clients in Maryland, Virginia, and Washington DC since 2005. Principal photographer Mike Buscher is an award-winning photojournalist noted for his unobtrusive and non-traditional coverage of weddings. His work has been acknowledged by the WeddingWire, Baltimore Magazine and other top bridal resources in the area. Mike has years of experience shooting news, sports, and features for newspapers, magazines, and wire services. He has traveled to more than 40 countries to shoot for newspapers, cover destination weddings, and work on independent projects. Mike continues to freelance for several publications and agencies and covers the Ravens, Redskins, and Orioles on a regular basis. Photography By Brea, LLC is a photography business in Reisterstown, Maryland. They specialize in wedding photography, as well as photographing couples engagement sessions and families. Photography By Brea, LLC captures the unique dynamics and the little moments that are showcased in the events that truly matter. Brea aims to create long lasting relationships that last a lifetime with people who hire her. Their working process is designed in a way for the photographer and the client to get to know each other, to earn the client’s trust, and to form a bond that will extend well beyond the wedding day. During their post wedding meeting, Brea and her clients will design the album together. Photography by Madison is a full-service professional photography studio conveniently located in the midst of historic Main Street in Laurel, Maryland. The studio specializes in providing quality personal portraits at affordable rates, including high school seniors, maternity and children, and professional headshots. Lead photographer Matthew Coates is a graduate of the Elizabeth City State University majoring in art with a concentration in photography. Apart from studio photography, Matthew covers wedding and special events. Photography by Madison often offers money saving coupons and special discounts throughout the year. Its website features an online gallery to give potential clients clear examples of Matthew’s art style and recent works.